1. Lesson Plan – How to talk about migration in your classroom? – The lesson plans in this toolkit help the teacher talk about migration. Migration in the regular teaching-learning practice as the issue of migration has been embedded in 6 subject-based lesson plans. 2. 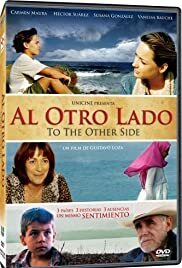 Lesson Plan – Crossing the U.S. – Mexican Border – This lesson plan is designed for use with the film Al Otro Lado (To the Other Side). This 60-minute film provides a window into issues along the border between the United States and Mexico. 3. Lesson Plan – Encuentros y desencuentros: Inmigración en España. El viaje de Said – Students will learn about immigration from the immigrant’s point of view relating it with their own experiences. 4. 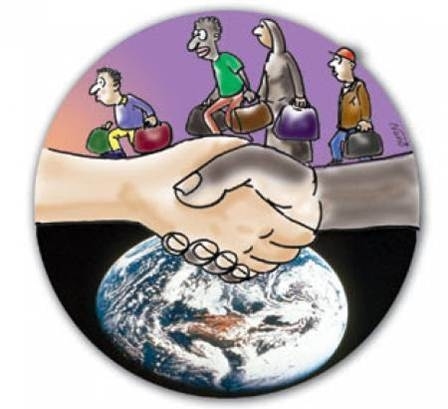 Video – Videos sobre la inmigración – A compilation of videos about immigration. As a teacher, you can elaborate interesting didactic proposals from these videos. You can find documentaries and various points of view about immigration. 5. Activities – Migraciones: Secuencia didáctica – This sequence of activities starts analyzing an image. After, the group should brainstorm about the subject. To close, students have to take notes and build an overview that will be sent by e-mail to the teacher. 6. Resources – Teaching immigration in Spanish class – Here is a list of resources about immigration. You can find infographics, novels, songs, readings, films and videos related to this subject. Use these resources to build a complete lesson. 9. Vocabulary – Spanish Immigration Vocab – A short list of vocabulary related to migration. Use these flashcards to help students familiarize with this subject. 7. Vocabulary – English Spanish Vocabulary – Migration – Migración – Here you can find some useful Spanish vocabulary related to migration. 8. Handout – Different Immigrant Types: Reading/questions – Students receive this handout to read about different types of immigrants. They must then answer the comprehension questions. 10. Song – Pobre Juan by Maná – Preterite and Immigration Vocabulary [MEMBERS] – It includes 3 cloze versions, answer key, short artist bio, and link to the video.